Google sent out invites for an event next month that is likely to feature the Pixel 3 and Pixel 3 XL. Leaks for both of the devices show just how fast things change in the tech world. Just two months back, there was a semi-draught for leaks. We had only a couple of screen protectors and renders based on leaked dimensions to try to decipher what the third generation of Pixels from Google will feature. However, Google then went ahead and lost a whole batch of Pixel 3 XL pre-production units and things haven’t been the same since then. In what is undoubtedly the biggest leak in tech history since Gizmodo got their hands on an iPhone 4, the Pixel 3XL leaked in its entirety months before its launch. Now, looks like Google’s looking to ride the very train it inadvertently set in motion. Take a look below for more details. In a move that’s pretty normal (under standard circumstances), companies often turn to vloggers to license video clips for launch videos. Now, Google’s doing the same thing, except that the company is asking Youtubers for their clips about the Pixel 3 XL. The smartphone’s notch is infamous by now. 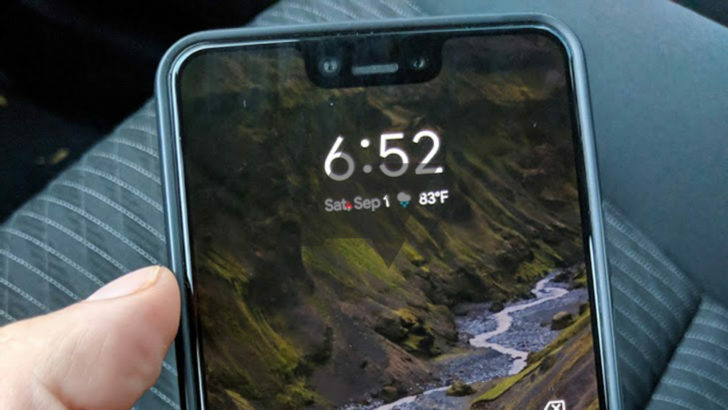 The Pixel 3 XL has a huge notch and now Google’s looking to capitalize on the internet’s reactions to this fact. According to John Prosser of FPT, Google contacted him for clips of his videos where he has outright mocked the Pixel 3 XL’s notch. Since Prosser hadn’t signed an NDA at the time, he made a video about it; ensuring that Mountain View is unable to keep as many secrets as it can. In addition to sharing the news about Google contacting YouTubers, Prosser also gives us his take on the matter. According to him, there’s a chance that the Pixel 3 XL leaks might be scripted – and Google’s collecting the video clips to collectively rub it in everyone’s faces at its upcoming event. However, he’s also quick to clarify that this might not be the case, and on this, we’d agree with him. After all, what does Google stand to gain by going out of its way to orchestrate all these leaks? Sure, it’ll make for some good publicity but users don’t buy smartphones because of company antics. They base their purchasing decisions on marketing and any perceived beliefs about one gadget having a strong competitive advantage over other options in a similar price bracket. For the Pixel lineup, it’s the camera performance and in that regard, Google will add new functions for the upcoming Pixel 3 and Pixel 3 XL‘s front cameras.